Home Movies Batman v Superman Countdown: 5 Local Merchandise to fill your BvS fix! Batman v Superman Countdown: 5 Local Merchandise to fill your BvS fix! “Black and blue, God vs. man, day vs night…” I’m not sure about you guys, but I, for one, am really excited for the upcoming Batman V Superman: Dawn of Justice (And it’s only a few days away!). So what to do besides wait? Collect some licensed merchandise, of course! In no particular order, here are some of UnGeek’s recommendations for BvS products that every fanboy deserves… And the ones we need right now! See what I did there? No? Okay let’s move on! 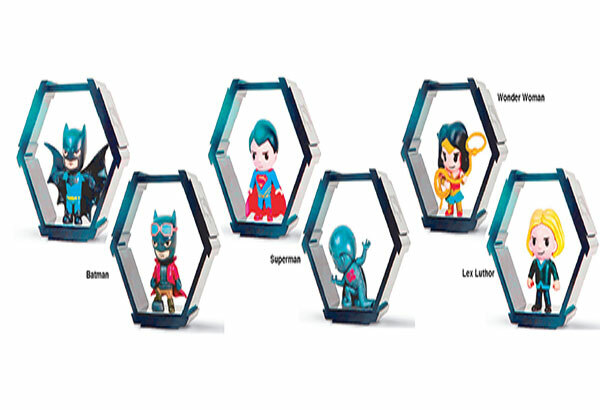 SM Cinemas and Comicave will be offering an exclusive Batman V Superman hexagon toys to moviegoers and collectors alike. Fans can collect a total of seven different figures; just purchase a snack-merchandise combo meal at any participating SM Snack Time counters. It could be a popcorn tumbler and drink set or a hotdog + drink combo. Nestle will be bringing their own version of morning justice in the form of breakfast cereals! 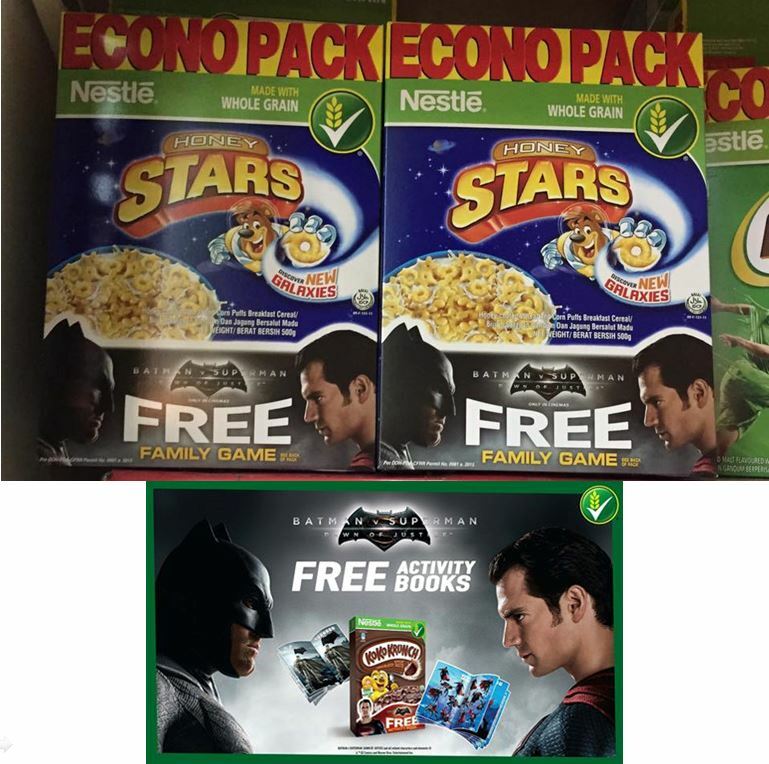 To anyone who purchases their Koko Crunch product, you can avail of the free activity books included while the Honey Stars brand has a free family game inside. Get it while supplies last! (Infomercial voice doesn’t translate well in writing… but I tried). 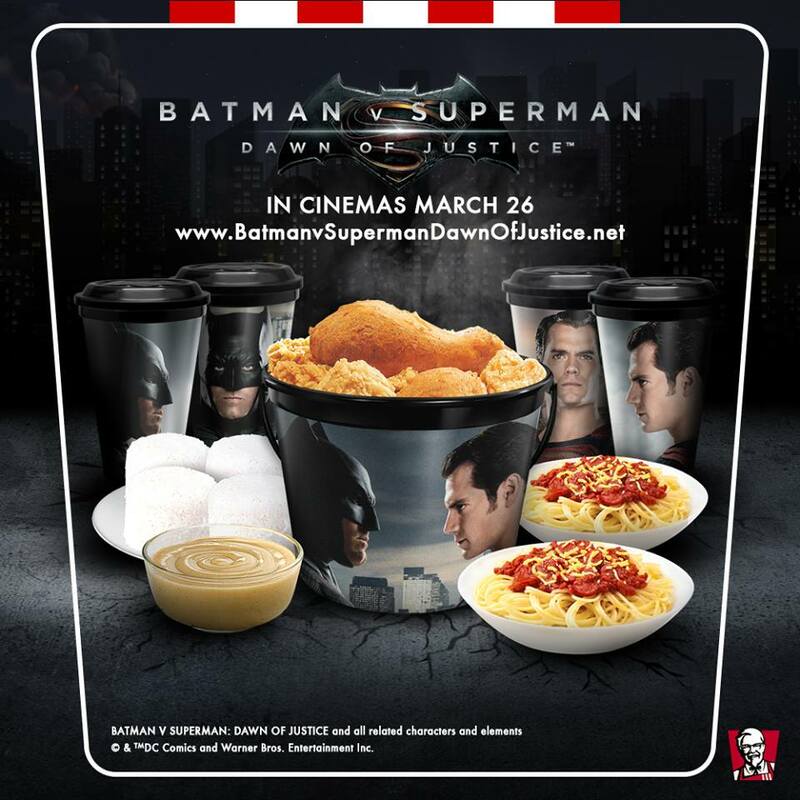 KFC Bucket Meal Batman v Superman Bucket and Tumbler Promo. For those who want a bigger and more filling meal, fans might want to get this from KFC. For P620 you can get an 8-pc chicken bucket meal (with the BvS faceoff design) with 4 drinks, 4 rice and 2 spaghetti in the package. Still not enough? You can add P35 to get the limited edition BvS tumbler. This beverage comes in 3 flavors – Batman (Calamansi), Superman (Lychee), and Wonderwoman (Orange). 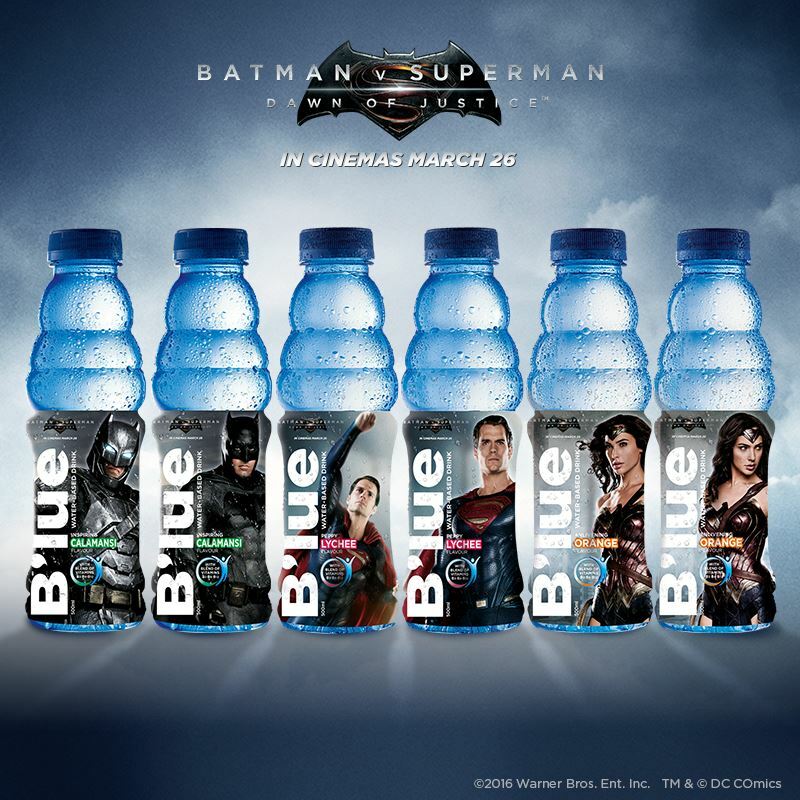 I’m not sure if the flavors have any connection to the heroes themselves but, for P25, it’ll be sure to quench your thirst while watching the movie. Just make sure to go to the restroom first or you might miss some of the action due to a mid-movie pee break. My personal favorite of all the local merchandise released so far! 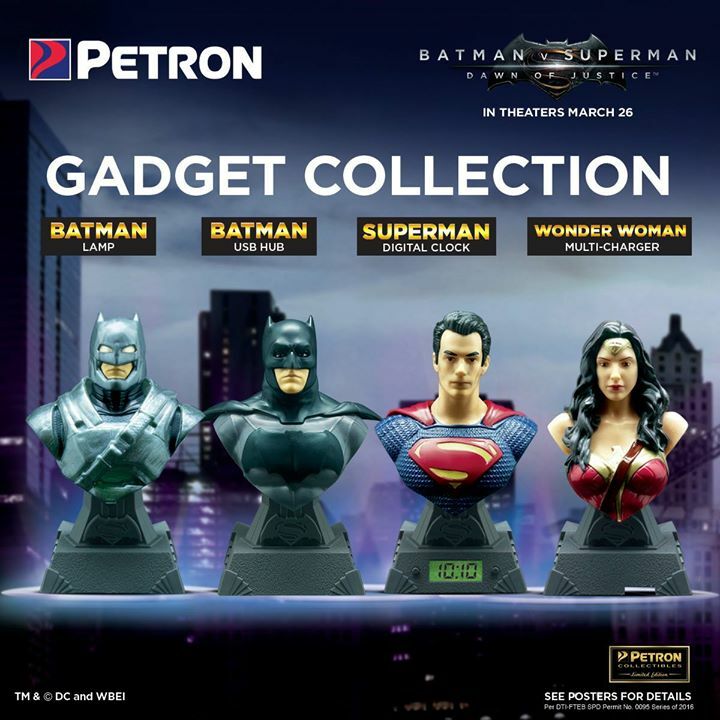 Petron offers its limited edition gadget collection. For motorists who gas up to P500, they can add an additional P200 to get one of the four busts from the movie. The Armor Batman is a lamp that says “Tell me, do you bleed? You will!” when you operate the device. The Regular Suit Batman is a USB Hub. Superman, on the other hand, is a digital clock while Wonderwoman is a multi-charger, which I think is the most useful of the lot. Are you excited for the movie? 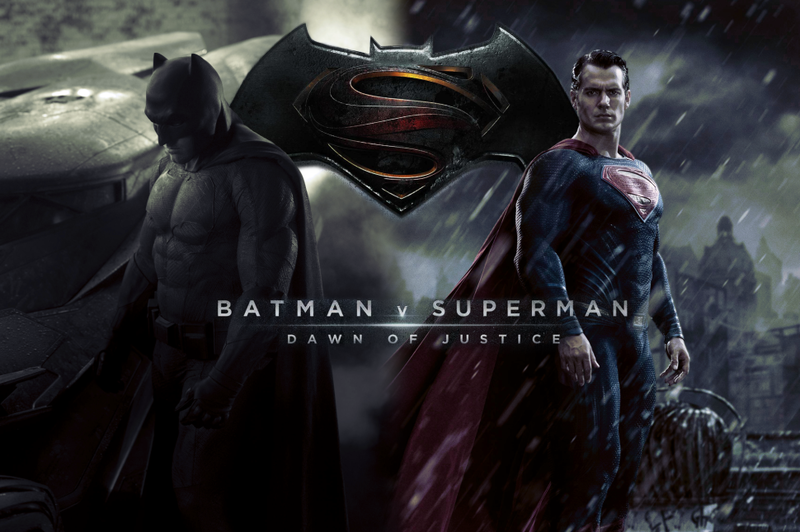 Batman v Superman: Dawn of Justice opens on March 26. 2016 at leading cinema houses. Whether you are a detective or a boy scout, I’m sure that this is something that you should not miss! Keep it here at UnGeek for all the latest news!